The young South African Sonwabiso Ngcowa tells the touching story of the lesbian girl Nana—based on a true story. Nana grows up in poor circumstances in the country, but is cared for by her beloved grandmother. When her grandmother gets into financial difficulties, 14-year-old Nana has to move in with her parents, who live in the township Masi at the edge of Capetown. The unexpected affectionate welcome helps Nana get over the pain of separation from her grandmother. The girls at Nana’s new school only have one thing on their minds: the right outfit and boys! Nana feels like a stranger, because she doesn’t share the others’ passion. 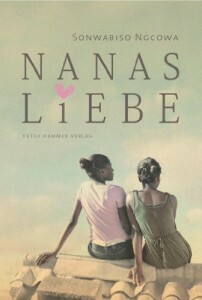 Only when she falls in love with Agnes, a girl in the neighbourhood, does Nana begin to understand herself. Nana now experiences both: great happiness and the fear of rejection and brutal violence. Because even if the right of sexual self-determination is established by South African law, there is open aggressive resentment against the ’abnormal’. For her love, Nana will have to go down a difficult and rocky road, but she eventually succeeds in living her own life.